Kuwait, 8 June 2017: Fouad Alghanim & Sons Automotive Company, the exclusive dealer of ŠKODA in Kuwait, has put together amazing ownership packages for ŠKODA during the Holy Month of Ramadan. Sharing in the spirit of the holy month with the customers, buyers who purchase a ŠKODA Octavia during Ramadan, will drive away with a new car and a range of benefits, including free vehicle and license registration, free maintenance for a year or up to 15,000km. The offer also comes with 3 years’ free third party insurance and a free warranty for 3 years or up to 100,000km, whichever comes first. In addition, car buyers will benefit from a special Ramadan price of just KWD5,555. “The Octavia is an outstanding, reliable model in the excellent ŠKODA range and, at this special time of the year, we took the opportunity to make it easier and even more appealing to own one.” stated Tarek Al Shafie, General Manager of Fouad Alghanim & Sons Automotive Company. “Arranging registration and insurance can be time-consuming, so with this offer we have shouldered that burden, while the added benefit of the extended warranty gives that extra piece of mind. We know this will be popular with our loyal customers.” He added. 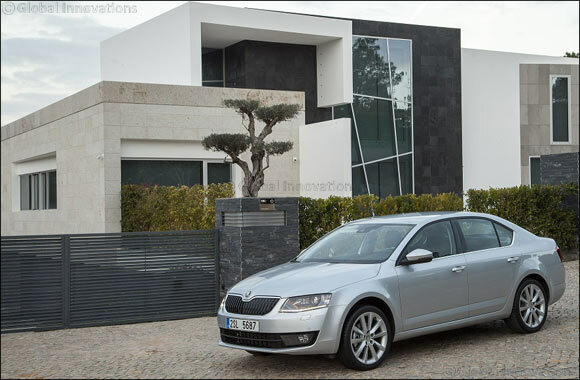 The Octavia is a practical sedan, great for getting around the city but also smooth and effortless when cruising on the highway. It is roomy and functional with a great, confident look, thanks largely to an emphasis on horizontal lines. The Octavia is a leader in its class with a longer interior, measuring 1,782mm, resulting in more knee room (73mm) in the rear of the car. The spacious, safe family car is available in a range of options. For more information visit the ŠKODA showroom, represented by Fouad Alghanim & Sons Automotive Company, the exclusive dealer of ŠKODA in Kuwait.